Is the steering shaft a known issue? Yes. Will the recall fix it? Maybe. 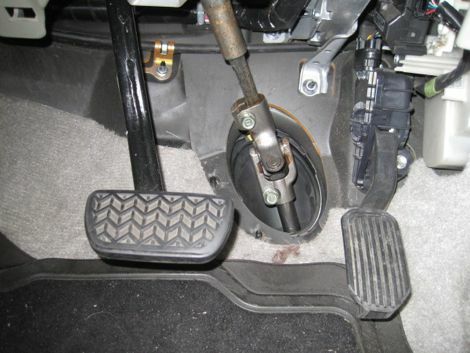 In November 2012, Toyota announced a Safety Recall of the “Steering Intermediate Extension Shaft” on 04-09 Prius. Another supplier problem, this time regarding metal of “insufficient hardness”. 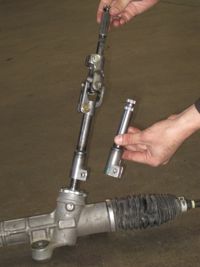 The steering column is a series of metal parts, slipped together over splines; the splines can wear out, resulting in loss of steering control. Click here for a video clip of the problem (also embedded below). 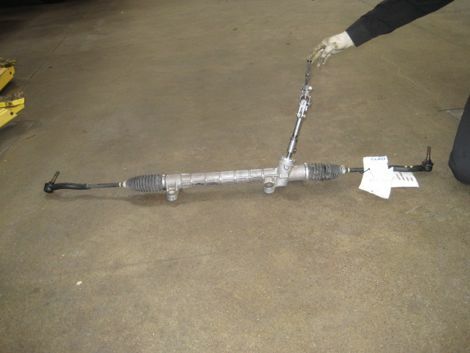 Though the explanation is nearly identical, the latest recall (C0T) is different from the one for 04-06 Prius (60C) that started in June of 2006, involving the upper linkage of the steering column (top of picture, above). The “inspection results” are not whether the part is worn or damaged. If the shaft is flush, then just the bolt is replaced. 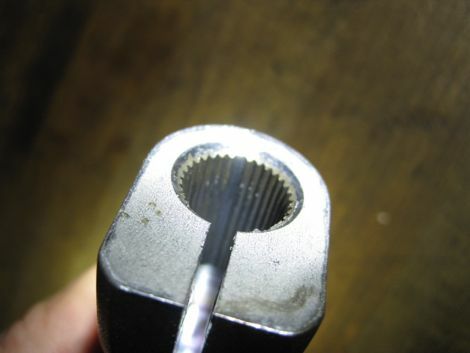 If the shaft has a countersink, then the shaft and three bolts are replaced. The replacement shaft also has a countersink; it’s the metal they’re after, not the design. 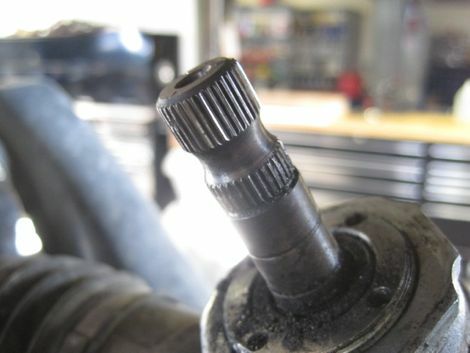 Luscious Garage has seen these shafts strip on several vehicles, countersink or no. 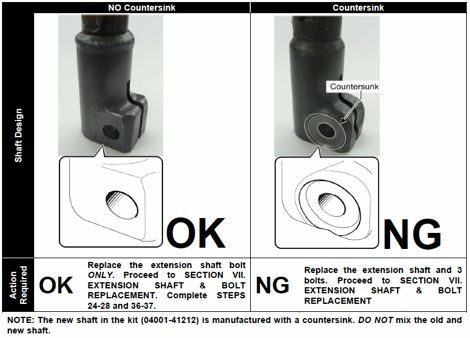 We keep replacements in stock (part number 45221-47041; countersink shafts are 04001-41212). This problem is far, far less common than the inverter water pump or the combination meter. To my knowledge we’ve only seen wholly stripped spines (the all-out failure scenario) on commercial vehicles (taxis, and most recently a car used for Lyft); we’ve repaired many that were noisy (developing looseness in the column) before the part actually failed (also taxis). I can only think of one private owner who had a suspicious noise, and when we removed the rack to check the shaft, it was tight. The problem turned out to be in the u-joint. On all problem cars, the bolt on the shaft has been tight. I’m not sure what replacing bolts is about. Not to discourage you from taking your car in. Just don’t panic. The Lyft car (pic right, vids below) was towed to a local dealer first, and was declined repair under the recall. At first this did not make sense to me, until I read the details regarding the difference in the shafts. (This one happened to be flush.) According to Toyota’s website, the recall has not been performed on that car (you can check your own VIN here), so perhaps they didn’t even look. It’s not clear what Toyota will do with an actual problem, if the part doesn’t qualify or they deem the vehicle a nuisance. Upshot: stay tuned for the next episode. 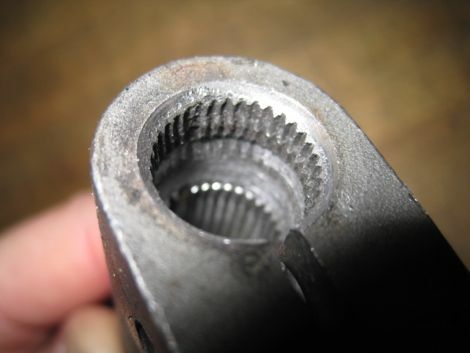 For customers concerned about this problem, Luscious Garage checks steering as part of regular service; if you prefer to come in sooner, just let us know. It only takes a minute and would be free of charge (just like floor mats). 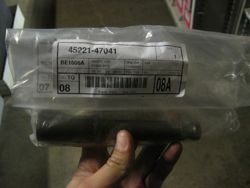 If you do need a replacement shaft, the part runs $125-$177, depending on the design (countersink or flush). 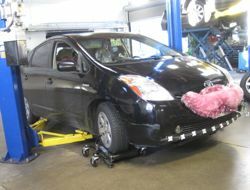 We charge $270 labor round trip to remove and replace the rack, and center the steering wheel as needed. Total with tax $406-$462.